We are a general commercial contractor located in South central Alaska providing innovative project management and construction. Over the years we have developed multi-purpose commercial facilities in almost every environment imaginable. We have started complex projects in the dead of winter. We have built facilities on cliffs, in valleys, and around or in water. We have mastered the art of design-building projects that meet the needs of Alaskan enterprise in some of the harshest terrain on earth, while consistently coming in at or under budget, and even more importantly, on time. 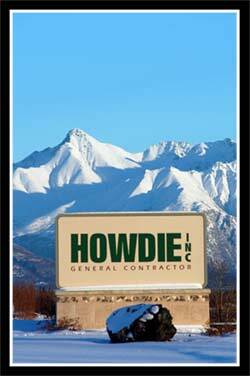 Please review our recent projects and references and consider Howdie, Inc. for your next successful project. If you have a question about anything you see on our website, or anything you might be interested in, feel free to contact us.